Here comes an opportunity for our family in Ghana who loves acting? 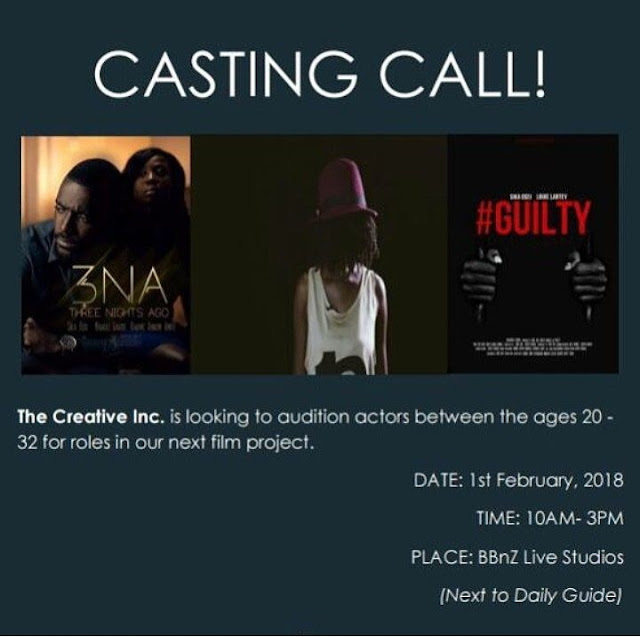 Participate in The Creative Inc Acting Audition. Age between 20 and 32 year old. Date : 1st Feb, 2018. Ring Road Central, Accra Ghana.